We are bringing a huge outdoor vegan market to Peterborough in May! 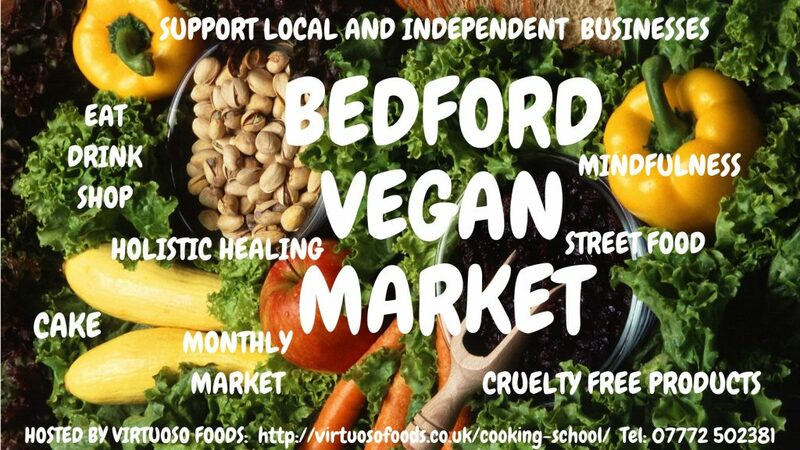 The market will be packed with over 50 stalls selling a huge variety of vegan products from great local businesses. Find a whole host of mouth-watering food stalls, eye-opening lifestyle brands, luxury cosmetics, ethical clothing, interesting charities and much more. The market will be held right in the centre of Peterborough on Cathedral Square. The market will open up to the public from 10:30am on Saturday 4th May and will close at 4pm. We expect the market to get very busy during the middle of the day so please come along early so you don’t miss out on all the best food! If you would like to trade please head to www.veganmarkets.co.uk/peterborough-traders for all the details. Peterborough Vegan Market is organised by Vegan Markets UK. Take a look at our other markets at www.veganmarkets.co.uk.